The cherry-on-top of your living room should be a stylish and functional TV stand, like this one, that ties the room together. 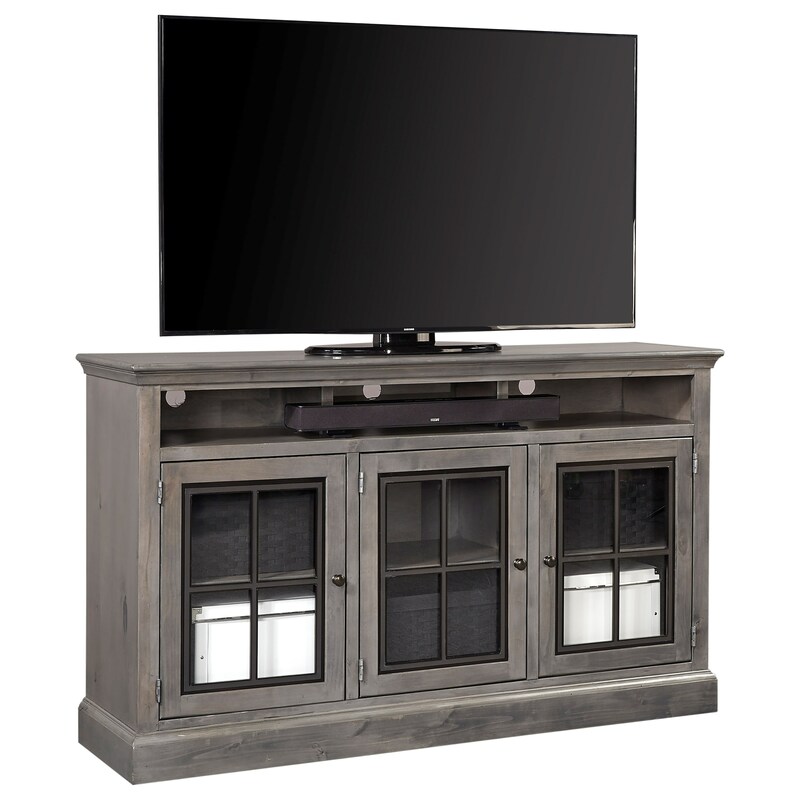 This piece delivers some extra storage space with six shelves and an open compartment with cord access holes for your soundbar and other media devices. From a stylistic standpoint, the metal frame glass inserts and wrap around moldings help create a casual look that will bring a warm and welcoming tone to your home. The Churchill 66" Highboy Console with 3 Doors by Aspenhome at Reeds Furniture in the Los Angeles, Thousand Oaks, Simi Valley, Agoura Hills, Woodland Hills, California area. Product availability may vary. Contact us for the most current availability on this product. Storage 6 shelves behind the 3 doors. Open area compartment for media devices. The Churchill collection is a great option if you are looking for Casual furniture in the Los Angeles, Thousand Oaks, Simi Valley, Agoura Hills, Woodland Hills, California area. Browse other items in the Churchill collection from Reeds Furniture in the Los Angeles, Thousand Oaks, Simi Valley, Agoura Hills, Woodland Hills, California area.